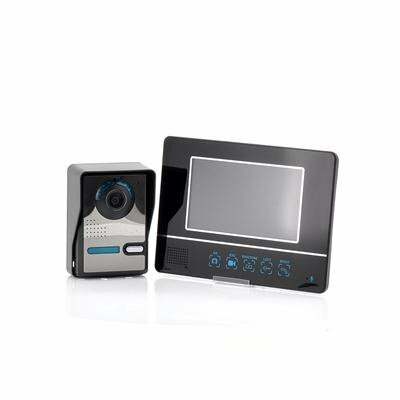 Successfully Added Wireless Video Door Phone- 2.4 GHz, 7 Inch Screen, Touch Button, 250 Meter Distance to your Shopping Cart. Wireless Door Video Phone works with 2.4 GHz, a 7 Inch Screen, touch button and works at a 250 meter distance. This neat device enpowers you and makes you safer by giving you a heads up about who's at the door. When the wrong people come a knockin' (door to door knife salesmen, we're looking at you) don't even bother opening the door. Simply use this device to say, "No thanks, pal." This product is in stock now, we guarantee next working day shipping and offer a 12 months warranty on all our products. Brought to you by the leader in electronic devices and wholesale Secuity Gadgets, Chinavasion.